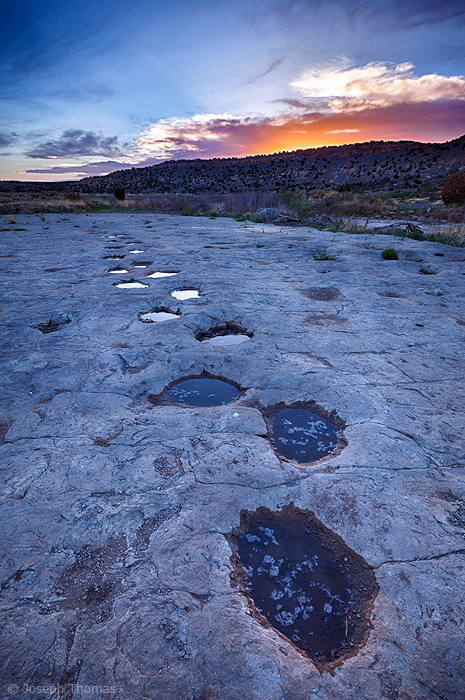 Frozen in time for 150 million years, Apatosaurus tracks lead the mind's eye into a distant era. Ambling in the footsteps of the largest creatures ever known to move upon the land is a profoundly awe-inspiring experience. I stayed out all night under the stars and let my imagination transport me eons into the past - herds of the great beasts surrounding me - grazing, drinking, walking...living!